Feel FREE to buy everything in this post. 1. A striped sweater to keep that smile on your face even as the temperature starts to drop. 2. A suede moto jacket so you can look luxe without breaking the bank. A well made jacket like this one pays for itself because you'll wear it year after year. 3. A tweed beret that'll get the most complements out of your entire wardrobe, because it's just that unique and adorable. 4. A pair of high-waisted skinny jeans to complement your favorite fall sweater and boot combo. 5. A sporty pullover for anyone who wants to look fashionable but feel like they're still in pajamas. It's hibernation season, don't question it! 6. A wool sweater, because a cropped silhouette with those brass button closures looks professional and cozy at the same time. 7. A unique blouse to accent the basic staples you already own. 8. A pair of chunky lace-up boots with circular buckled straps and a padded insole so you can strut your stuff but stay comfortable. 9. 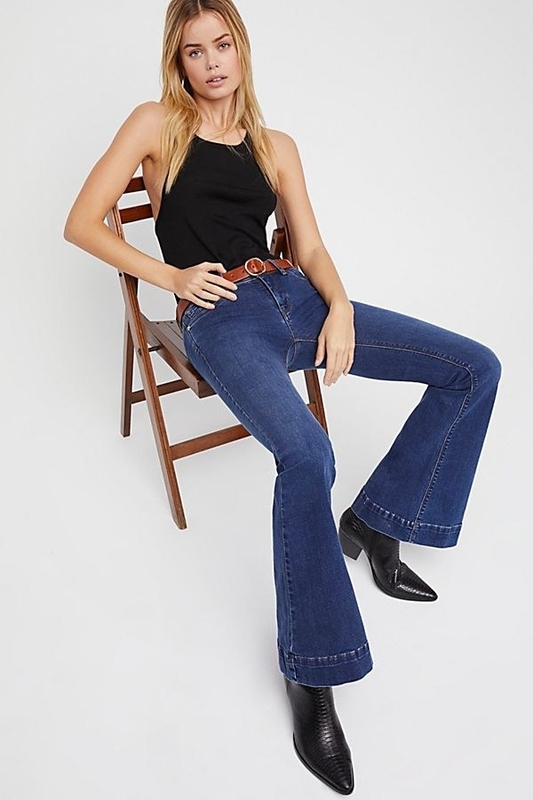 A pair of flare jeans that'll take you right back to 1978 (but without the expense of a time machine). Those things are expensive! 10. A pleated jogger jacket for anyone going with athleisure as their current fall vibe. Sporty spice latte, anyone? 11. A mustard pullover, because it might be dark and stormy outside but you're a ray of sunshine in this look! 12. A floral top to remind you of spring and what's to come! Hang in there, much like these sleeves. 13. A long-sleeve crop top to have those cool layers underneath that puffy coat so when you finally get indoors you aren't overheating all night long! 14. 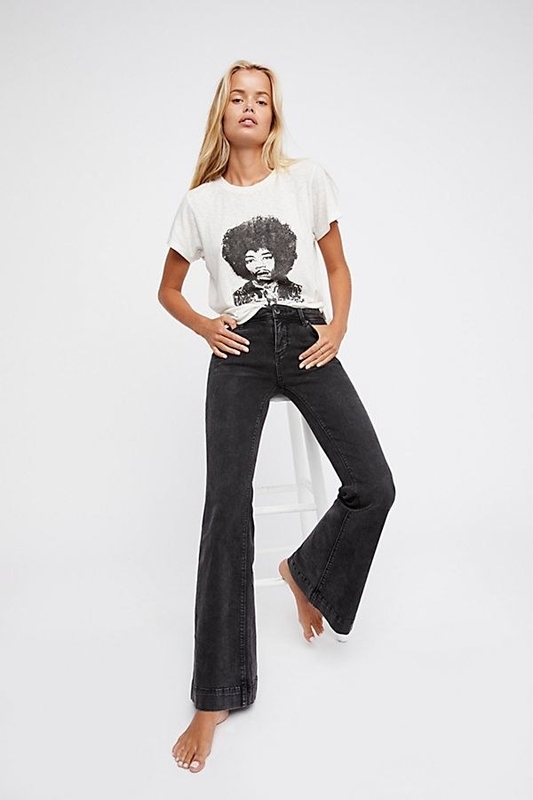 Wide-leg pants that'll honestly just make you smile every time you put them on. Just look how happy they are! 15. A plaid bomber jacket for an option that is as comfortable as it is unique. 16. A long sleeve top with enough detailing to make it stand out. You can cross layers off your shopping list! 17. A pair of leggings designed with a stretch fit, high-rise elastic waist, and scrunched details on the sides. 18. A babydoll dress that'll go great with your favorite pair of leggings. Apple picking outfit, check! 19. A boho top made with elegant embroidery details and adorable cuffs—it is cuffing season after all. 20. A fire pantsuit made of a cotton-linen blend you'll never regret wearing. 21. A pair of printed corduroy overalls for the bold style you've been wanting to dive into. 22. A textured top, because you'll want something thin and comfortable under all your fall coats. 23. A short sleeve cotton button down with double patch pockets and an oversized fit. 24. A sweatshirt waterfall cardigan to keep you feeling warm and like a million bucks. 25. An embroidered top with an oversized fit and a strappy back you can pair with any leggings and be out the door. 26. A Victorian-stye lace blouse that'll take your witchy vibes to a whole new level this year. 27. A stunning blazer with embroidery on the cuffs, because it's all about the details. 28. A Western-style patent leather belt to accent your various jean and sweater combos this season. 29. A sheer long-sleeve top, because you will knot get enough of this soft glam look. 30. A soft stripe blazer with an adjustable front knot tie because layers is the answer to all your wardrobe questions.